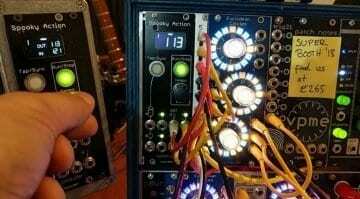 The first module released by Tenderfoot is the enjoyably simple 12-step multi-directional Eurorack step sequencer called Lattice. 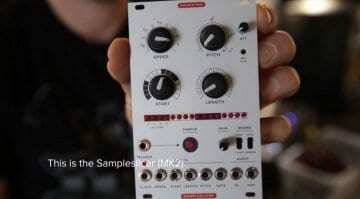 Based on a 3x4 matrix of knobs it does exactly what it's supposed to. 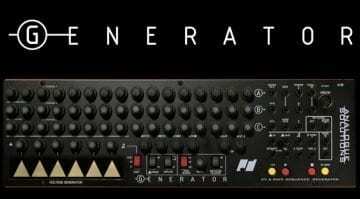 Having trouble getting all your synths and laptops to sync together at your local synth jam? The Missing Link will fill in the gaps by turning Ableton Link into 5V Clock - but how many will you need? 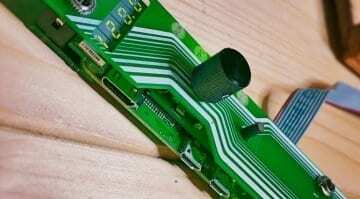 Got a lot of USB MIDI gear knocking around? 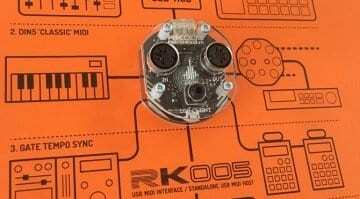 Well the RK-005 can host it and bring it all together into a single MIDI stream, clock to analog and then connect to a DAW or not. 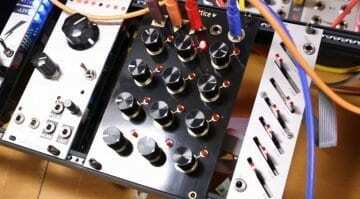 A super versatile MIDI interface. 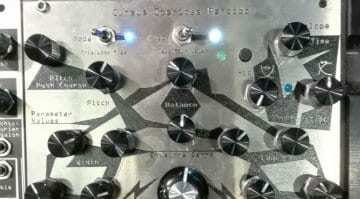 Befaco brought three new modules to the show - Kickall kick drum, Muxlicer expandable sequencer and sequential switch and Burst for throwing out a bunch of probability influenced triggers. The Expert Sleepers FH-2 will take your MIDI keyboard, MPE controller, MIDI fader/knob bank or groovebox and convert it all to CV while arpeggiating, clocking, LFOing and step sequencing. 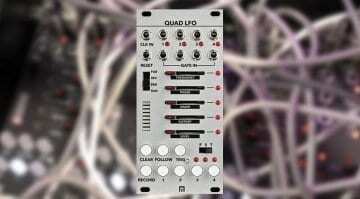 Spooky Action will wirelessly sync your Eurorack to your computer or anything else running Ableton Link while kicking out multiples, divisions, reset gates and all sorts of clock. 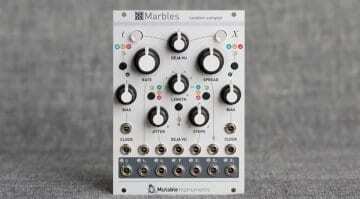 Marbles is all about randomness and nothing about sampling. Multiple methods of random voltage and gate generation through 7 outputs based on simulating the poor timing of musicians. This is going to be fun! 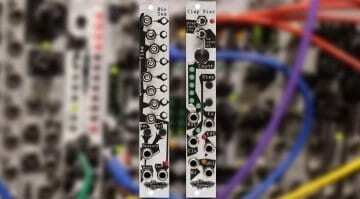 Two of the modules Noise Engineering launched at NAMM are now available. 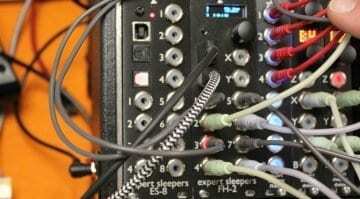 Bin Seq is an on-the-fly rhythm generator while Clep Diaz generates clocked modulation sequences. 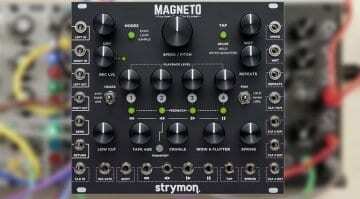 The Strymon Interstellar Space Machine Magneto is officially released so let's bask in the sheer wonder of its evolving soundscapes, endless verbs, tape and time slips, sampling and shifting. 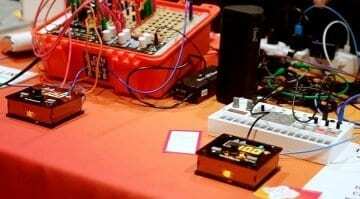 The Pink-0 open source project investigated how to put Ableton Link sync technology into a Eurorack module. 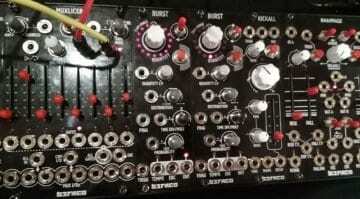 Seismic Industries appeared to have cracked it with SPINK0 and now I can sync my laptop to my modular! 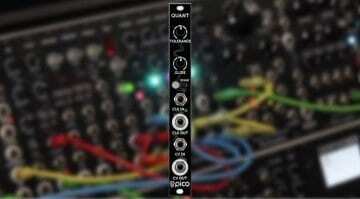 The surprisingly featured Pico Quant lets you design your own microtonal scales via a handy graphic web-based app. 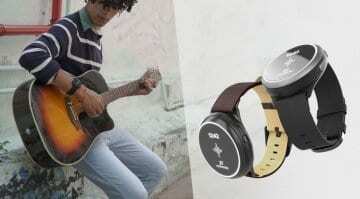 All it needs is an audio connection to your computer.